Train Sim World is a First-Person Train Simulator that brings to life the experience of operating powerful and realistic trains on authentic replicas on some of the world’s most amazing railways. Choose how you want to play, taking control and mastering powerful locomotives, running-to-time, carrying out important tasks or riding along as a passenger and watching the world go by. Watch all the action unfold and capture amazing screenshots or go exploring to hunt down all the hidden collectables. Whatever you choose to do, there's lots to see and experience in Train Sim World. 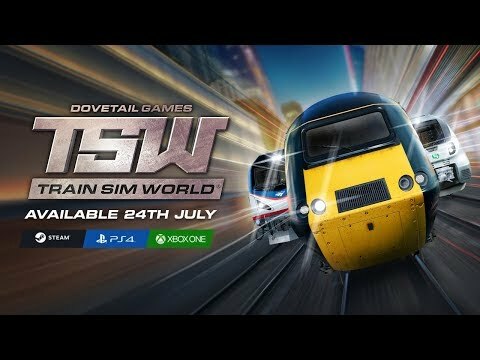 Train Sim World was released on PC, PS4 and Xbox One 275d ago in the US and the UK. Notify me when Train Sim World is available. Based on 5 Train Sim World reviews, Train Sim World gets an average review score of 60. Not perfect nor groundbreaking by any means, but it does achieve what it sets out to accomplish. If you’ve even the remotest interest in trains, whether as a passenger or would-be-driver you’ll get a lot out of Train Sim World; hop on board and you won’t be disappointed. While it’s very much an acquired taste, we derived a mixture of satisfaction and relaxation from our new role as a railway operator. Experience life as a train driver or passenger with inexplicably mundane real-time railway journeys.